If you sell contracts or subscriptions, new revenue recognition guidelines (ASC 606 and IFRS 15) can threaten to overwhelm your finance teams with laborious processes and spreadsheets. Sage Intacct Contract Revenue Management is a comprehensive solution that completely addresses all the upcoming rules for revenue reallocation and expense amortization, so that you can focus on your core business and profitably serve your customers. One of the most difficult and time consuming tasks you’ll face will be managing the transition process to the new guidelines. Fortunately, Sage Intacct completely automates dual reporting and posting with different accounting treatments for current and ASC 606 and IFRS 15 guidelines, saving hours of time and effort. Sage Intacct provides the flexibility to handle linear and non-linear schedules and usage-based billing with optional tiers. Additionally, you’ll easily handle add-on sales, upgrades, downgrades, and renewals while keeping a single view of the contract all in one place. Sage Intacct provides detailed subscription and contract insights, with sophisticated reporting and metrics. 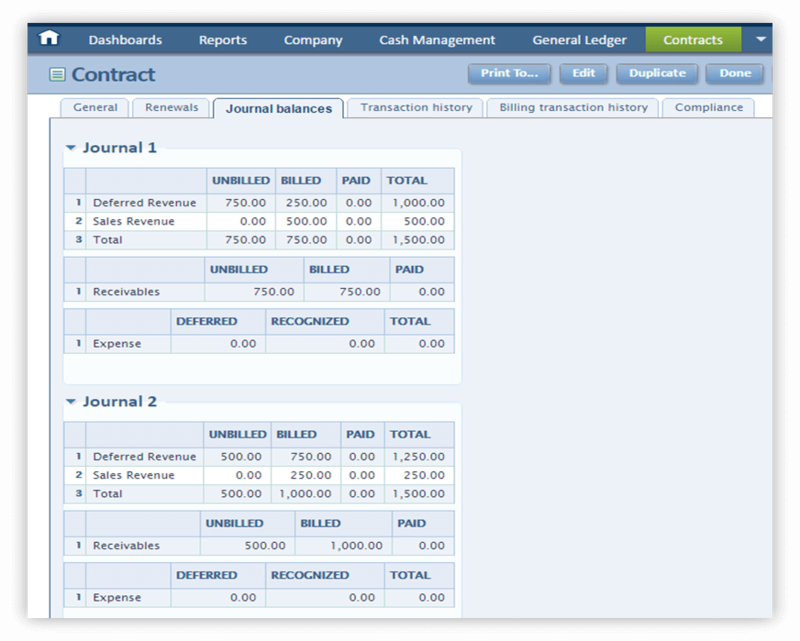 The contract is a Sage Intacct dimension so you can easily generate a P&L of each contract. See unbilled, billed, and paid revenue all in one view. 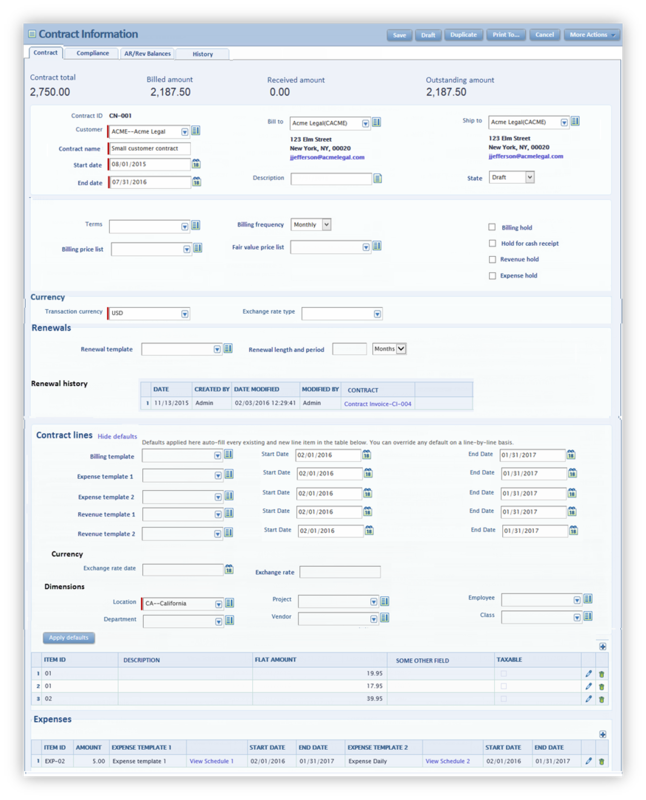 Generate detailed forecasts for all your billing and revenue information. Sage Intacct also prepares you for an audit by including a contract checklist and sign-off capabilities for each step. You’ll also be able to see side-by-side comparisons of the accounting treatments for current and new revenue guidance so the differences are easy to see and drill into as necessary.